범망경은 범망보살계경을 줄여서 부르는 말로, 자기 안에 있는 부처님의 성품을 개발하는 것을 목적으로 하는 불경이다. 이 책은 후진(後秦)의 구마라집(鳩摩羅什)이 번역한 범망경 중 보살이 명심해야 하는 10가지 무서운 죄와 48가지의 가벼운 죄에 해당하는 계율을 설명하는 부분이다. 권 제10을 상·하로 나누었는데 그 중 "하"에 해당하며 세로 22.6㎝, 가로 14.9㎝ 크기의 1책으로 엮었다. 목판에 새긴 후 닥종이에 찍은 것으로, 검푸른 감색의 종이로 표지를 한 번 더 감싸고 있다. 원래의 판본은 두루마리 형식으로 만들기 위해 1판에 25행의 글씨을 새겼는데, 이것을 12행과 13행으로 나누어 찍어 책 형태로 만들었다. 책의 끝부분에는 고려 충렬왕 30년(1306)에 원나라의 고승인 소경(紹瓊)이 쓴 글이 있다. 소경은 고려시대 고승 혜감국사 만항(萬恒), 보감국사 혼구(混丘)와 친밀한 교류가 있었던 인물로,『고려사』,『고려사열전』등에 그에 대한 여러 기록이 전하고 있다. 본문의 글씨체와 책 끝부분에 있는 소경이 지은 글의 글씨체가 다른 점으로 보아, 원래의 판본을 보고 후에 고려말에 다시 새겨 찍어낸 것으로 보인다. 이 책은 고려시대 원나라와의 불교를 통한 교류를 보여주는 중요한 자료이기도 하다. Brahmajala Sutra (Sutra of Brahma’s Net) exhorts people to exploit the potential characteristics of Buddha in themselves. Translated by Kumarajiva of the Later Qin Dynasty, this volume explains the 10 kinds of heavy sins and 48 light sins. 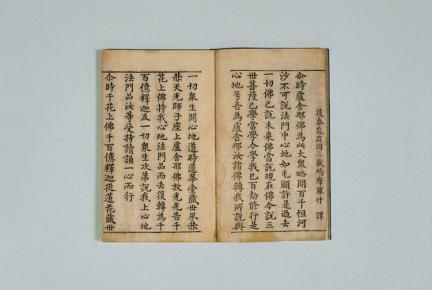 Volume 10 of this sutra consists of two parts, with the book measuring 22.6 cm long and 14.9 cm wide. 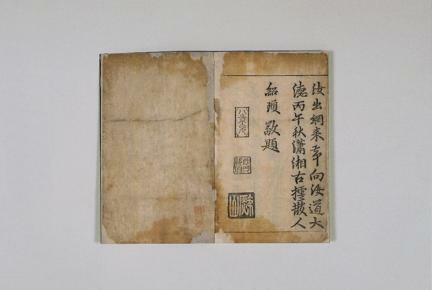 It was printed on mulberry paper using woodblocks, with the cover wrapped with dark blue paper. With the intention of printing it in scroll form, the original woodblocks were engraved with 25 lines, but they were divided into 12 and 13 lines to form a book. 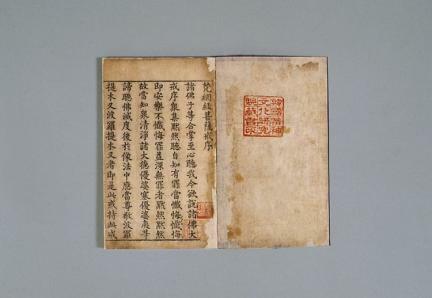 The book also contains an epilogue written in 1306 (30th year of the reign of King Chungnyeol of the Goryeo Dynasty) by Shaoqiong, an eminent Buddhist monk of the Yuan Dynasty who maintained close relations with Buddhist monks in Goryeo, such as State Preceptor Hyegam and State Preceptor Bogam. 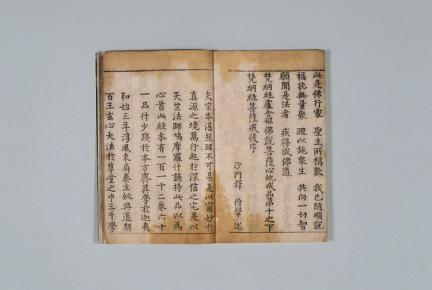 Since the main texts and the epilogue display differences in font style, this book is presumed to have been published in the late Goryeo Period using the original edition as a reference. This book is an important evidence showing the cultural exchange through Buddhism between the Yuan Dynasty and the Goryeo Dynasty.